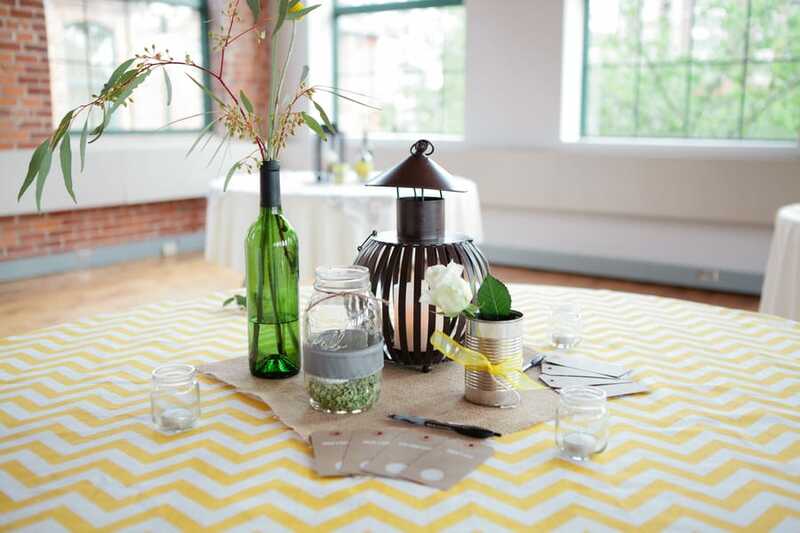 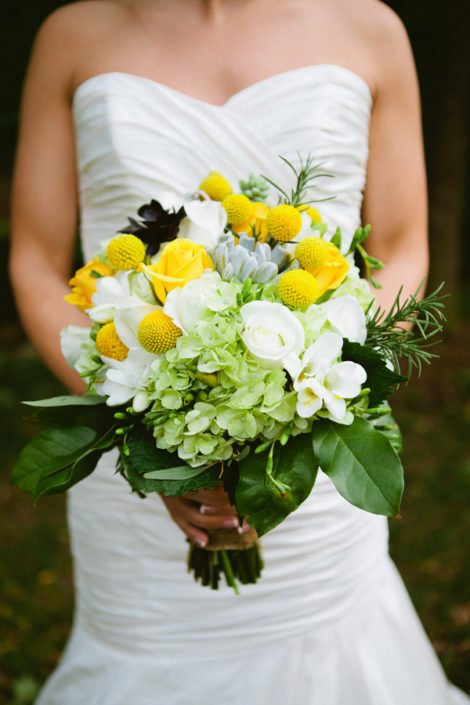 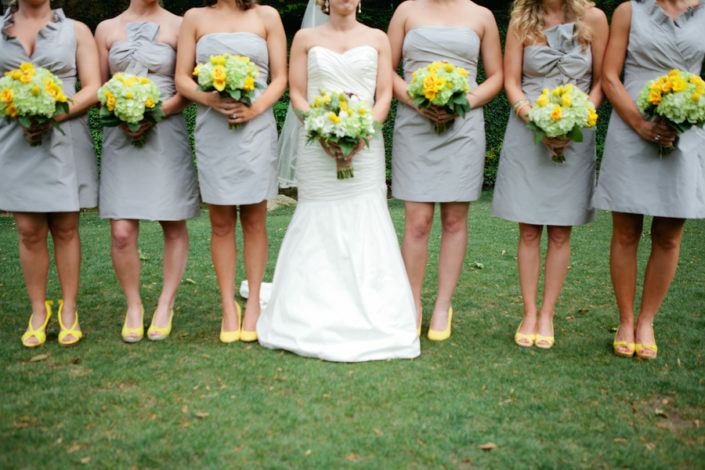 We are huge fans of yellow and gray wedding color schemes — they make us swoon! 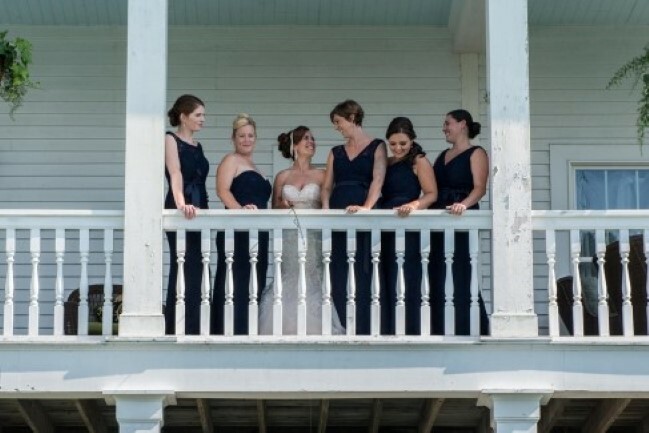 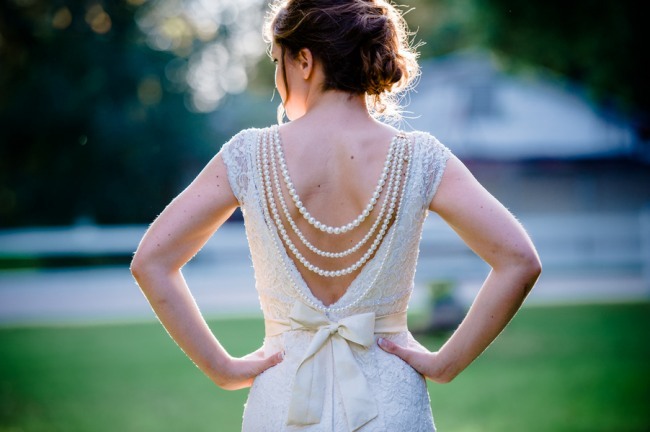 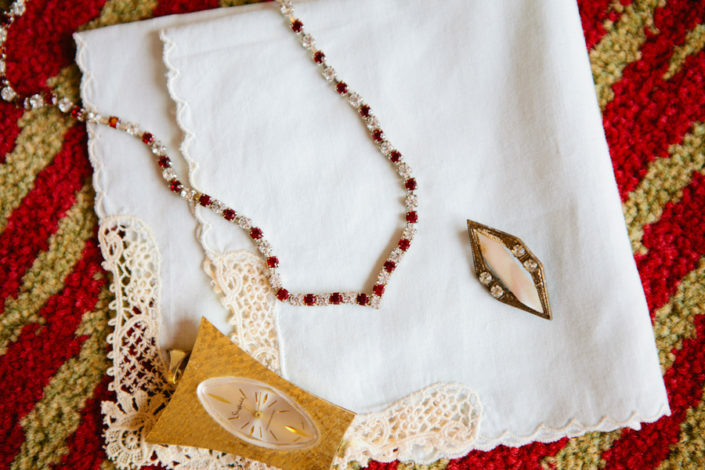 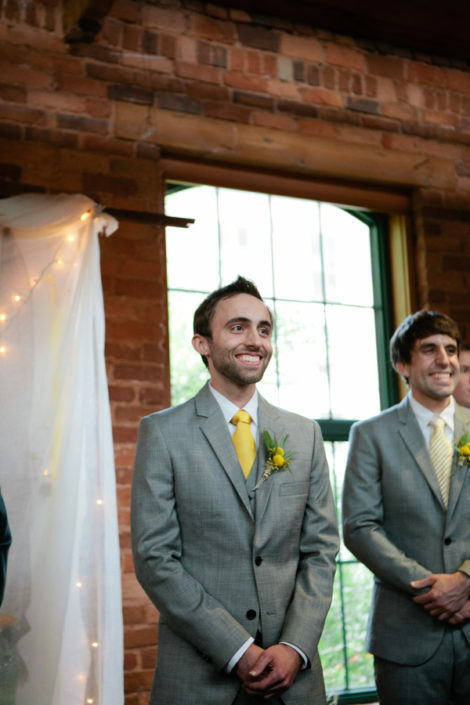 Today’s featured wedding is a DIY, rustic wedding full of southern charm. 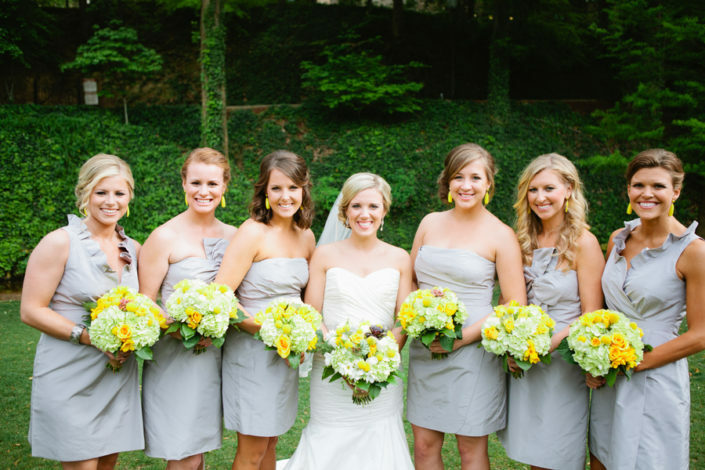 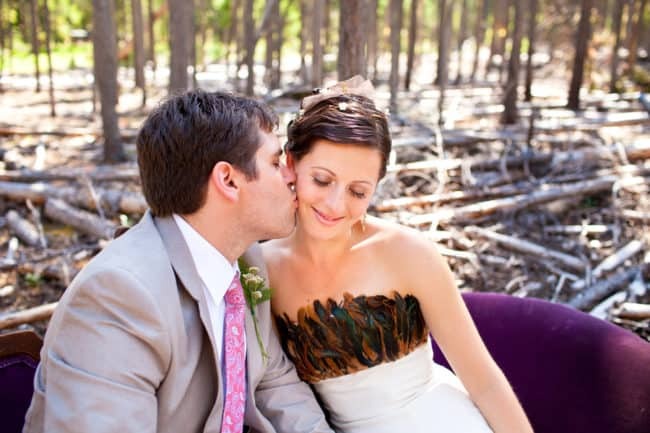 Almost every photograph on this page has some element of the bride and groom’s color scheme! 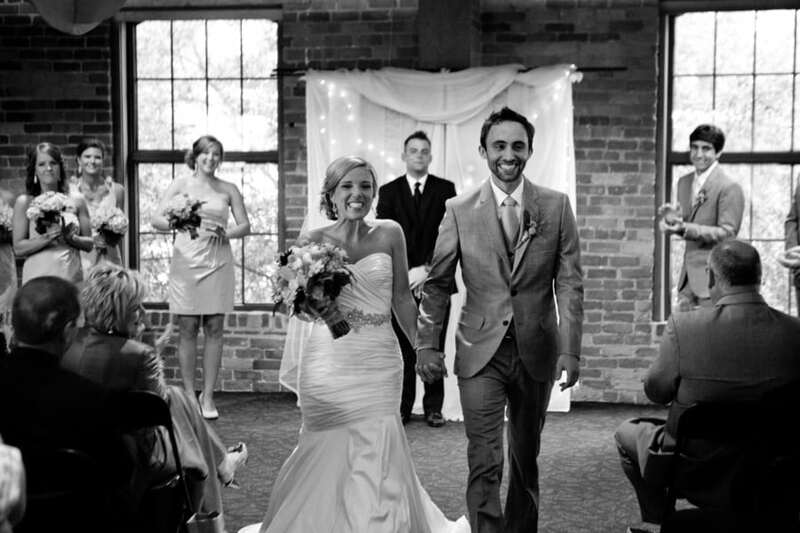 I say almost, because the black and white photo does not count. 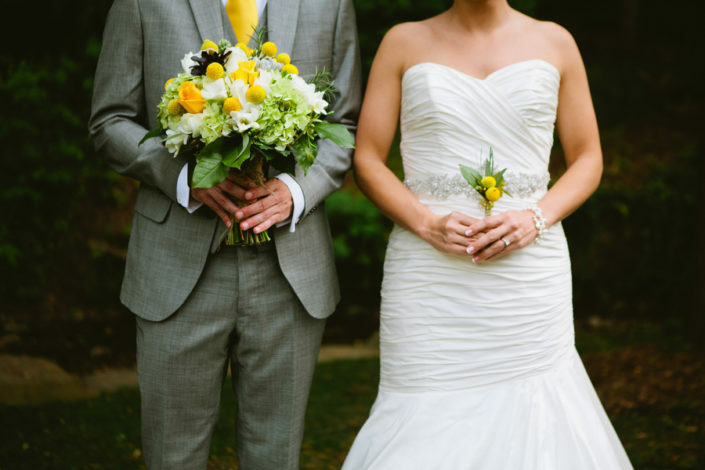 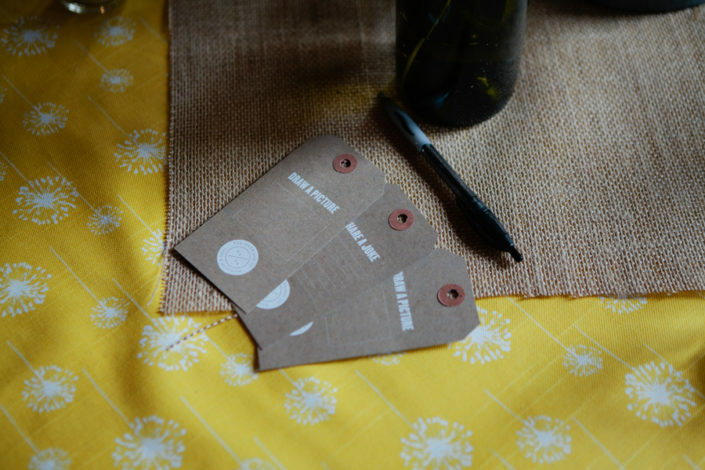 Go on and double check and you will see that the yellow and gray wedding elements are evident throughout the day, but do not overpower. 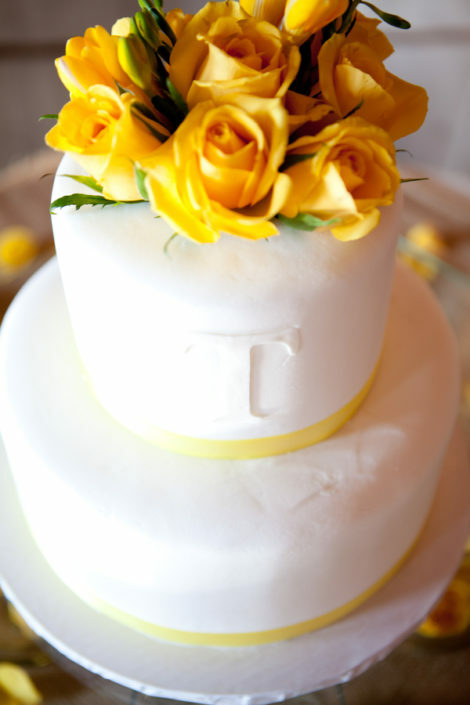 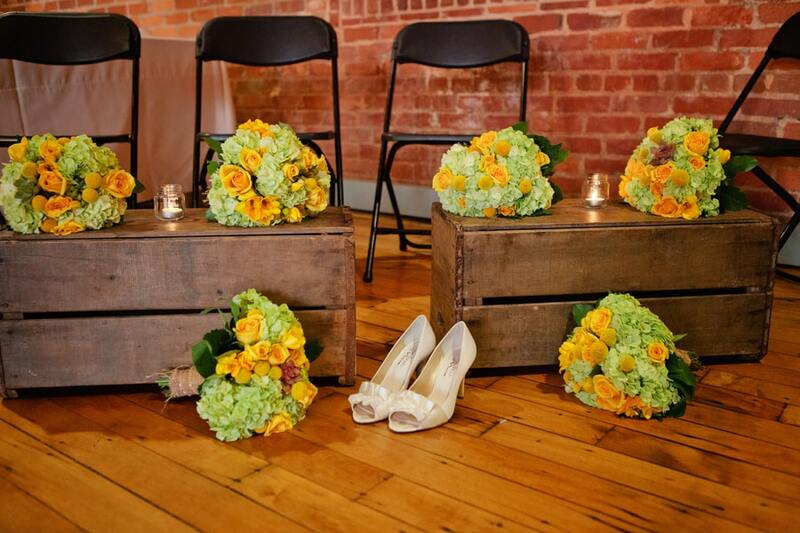 Whether its the maid of honor’s yellow shoes, the gorgeous yellow roses on top of the cake, or even the striped yellow tablecloth, it all plays nice together and works well. 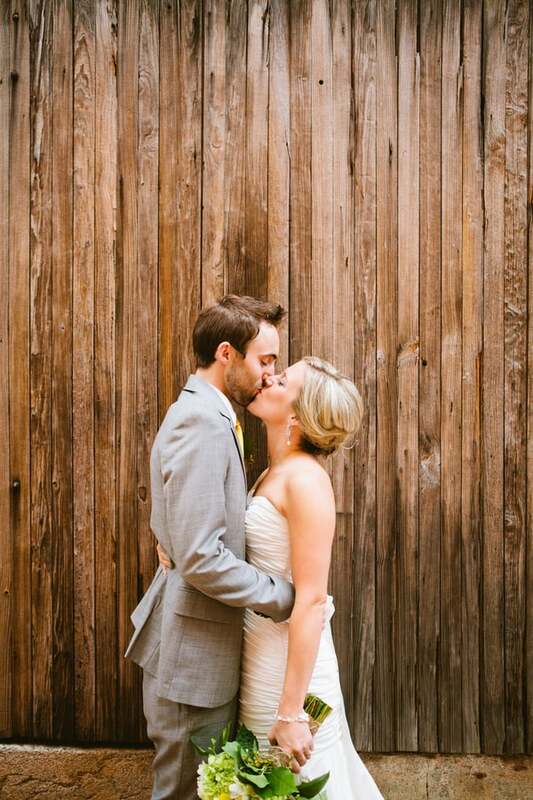 The color scheme is perfect, and what a beautiful couple!